In our house, our Amazon Echo has been a part of our daily routine for a couple of years now, and Alexa is like a member of our family. Hardly a day goes by when someone doesn’t ask Alexa a question, check the weather or play a song. The kids love to try and stump her! Now Amazon has introduced kid-friendly versions of its devices. Predictably, our kids love new Amazon Echo Dot Kids Edition and Amazon Fire HD 8 Kids Edition designed just for them. We set our Amazon Echo Dot Kids Edition on a cabinet in our family room so the kids could easily access it. When we first installed our Amazon Echo two years ago, we wanted to make sure the kids were accessing Alexa in the right way. Knowing Sophia and Ava, without oversight they would have her helping them with answers to their homework assignments. We put rules in place for how and when Alexa could be used, and for what purposes. As we got more comfortable with the technology, we found Alexa was a great addition to our household. Now she helps us with all kinds of things, like making dinner reservations, booking travel and predicting weather condition in far away places. Still as parents, we worry about the kids have full access to all the knowledge and operations Alexa is capable of providing. This is why we’re so excited to welcome the new Amazon Echo Dot Kids Edition into our home. Once I had the Amazon Echo Dot Kids Edition set up in our family, room the kids immediately jumped into questions for Alexa. From the moment we set up our new Amazon Echo Dot Kids Edition in the family room, both Ava and Sophia set out to quiz and stump Alexa. Of course they did not win that battle of brains, but it was pretty funny to listen to them try. 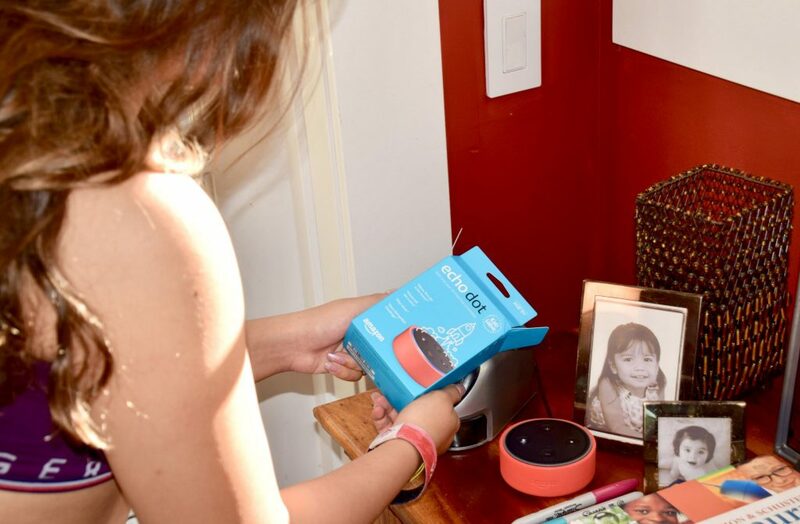 Bottom line, the Amazon Echo Dot Kids Edition is designed with content curated for them specifically. Alexa can be accessed to play games like Simon Says, quiz them for tests, read them a story, play songs and plenty more. I personally love the connection between Amazon Echo Dot Kids Edition and Audible, where my kids can listen to a story read aloud by actors. For example, Ava can listen to her favorite Harry Potter books while multi-tasking with something else. 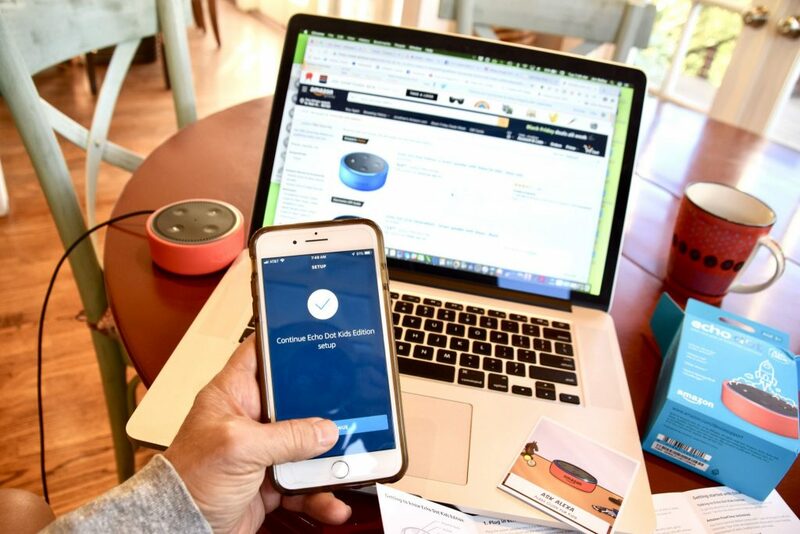 Once I downloaded the Alexa app, setting up our new Amazon Echo Dot Kids Edition was super easy. I just followed the prompts! 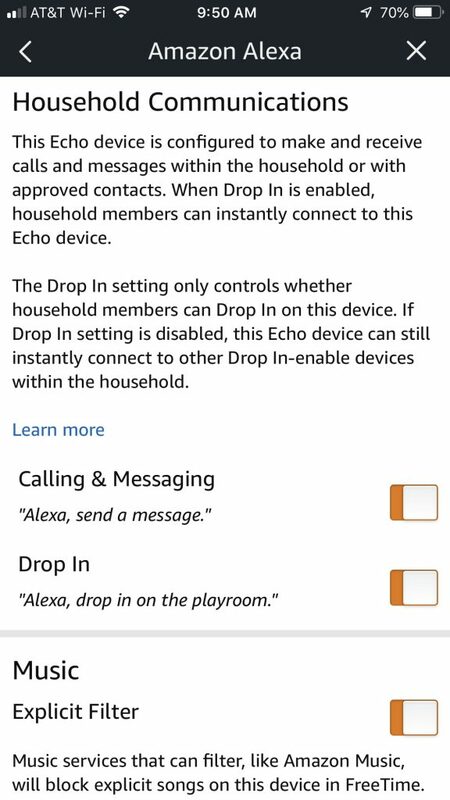 From the Amazon Alexa app, I can manage the Amazon Echo Dot Kids Edition directly from my phone. 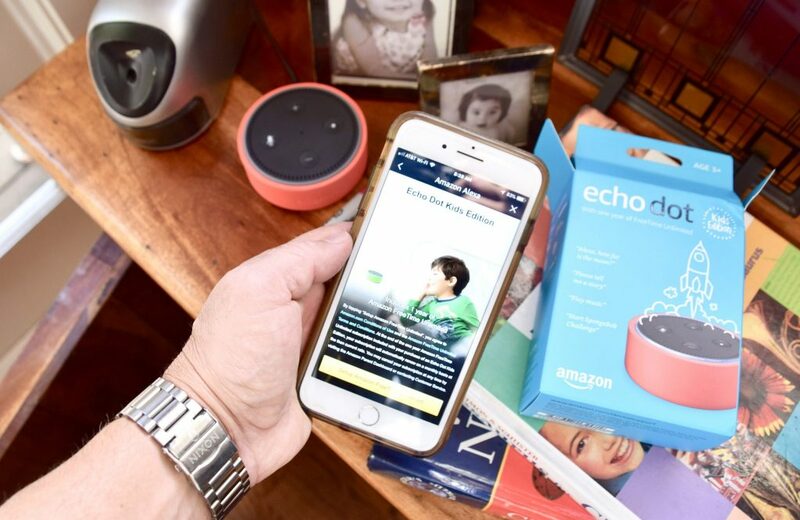 Our new Amazon Echo Dot Kids Edition guided me through set up – easy peasy. 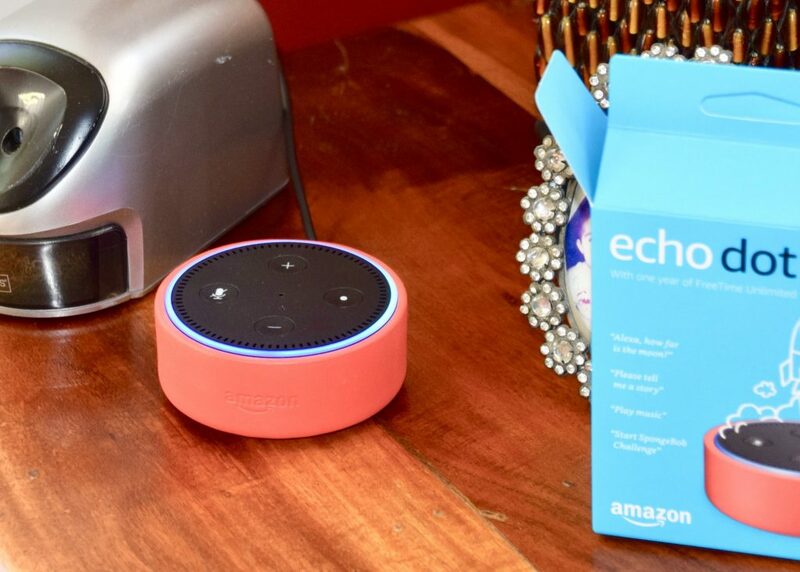 Amazon Echo Dot Kids Edition comes with one year of Amazon FreeTime Unlimited, giving us access to hundreds of hours of fun and educational content. After the first year, the fee for Amazon FreeTime Unlimited starts at just $2.99 per month for Prime members and $4.99 per month for others. (We can cancel at any time by contacting Customer Service. Those of you with rambunctious kids will be pleased to know that the device comes with a 2-year worry-free guarantee. Although Sophia and Ava are beyond the ages served best by the Amazon Fire HD 8 Kids Edition, we tried it out and are so happy to have this fun device. It’s perfect for when our family and friends visit with their littles. The Amazon Fire HD 8 Kids Edition is powerful enough to run data-heavy content and light enough for kids to easily manage. Designed for kids ages 3-12, the all new Fire HD 8 Kids Edition is the latest generation of Amazon’s best-selling kids tablet. This device allows kids to play games, watch programming, and engage in many fun learning activities. Kind of like the Echo for those on-the-go situations, the Amazon Fire Kids Edition is bundled with many of the same games and features in a visual display. Kids can just touch the screen to scroll through categories and choices, selecting with their finger the activity they would like to begin. One of the things we noticed about the Amazon Fire HD 8 Kids Edition is it’s design and durability. 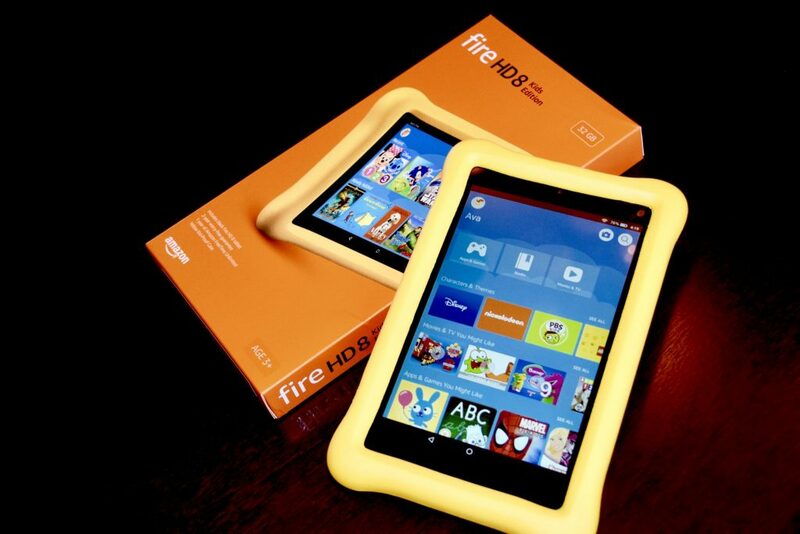 It is a real tablet with fully engaged screen, but protected by a kid-safe bumper that comes in blue, pink, or yellow. With 8 hours of battery life, the Amazon Fire HD 8 Kids Edition will easily serve the busy family on the go. The Amazon Fire HD 8 Kids Edition is designed specially for them, with content curated according to their levels and my parameters. When Sophia and Ava were little, we loved having devices like the Amazon Fire HD 8 Kids Edition to keep them entertained in the car and on trips. 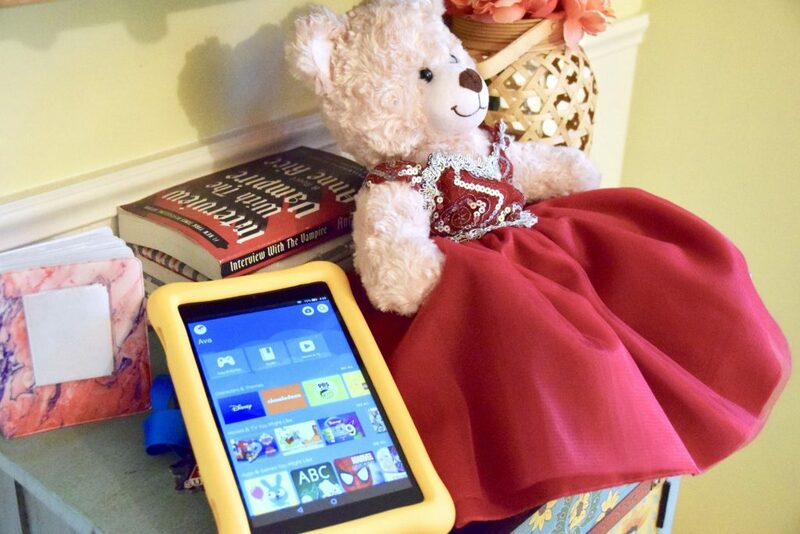 Because of technology like the Amazon Fire HD 8 Kids Edition, it’s now possible for families to continue the learning and play features for kids at home too. Just like the Amazon Echo Dot Kids Edition, the Amazon Fire HD 8 Kids Edition comes with one year of Amazon FreeTime Unlimited, and two-year worry-free guarantee. If anything happens, we can return it and Amazon will replace it – no questions asked. 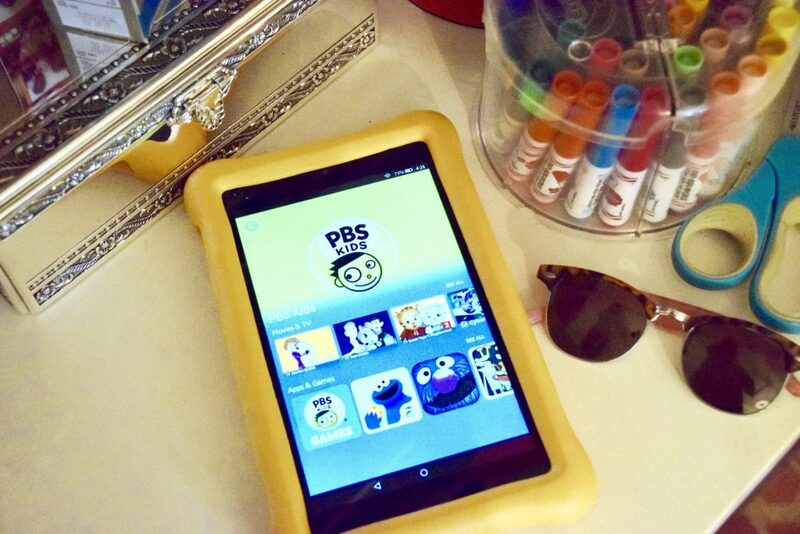 Our new Amazon Fire HD 8 Kids Edition has great content, like movies, TV, games and more from ideal sources like PBS Kids. Since we know kids love new Amazon Echo Dot Kids Edition and Amazon Fire HD 8 Kids Edition designed just for them, we’re sure these will make great gifts for the holidays. 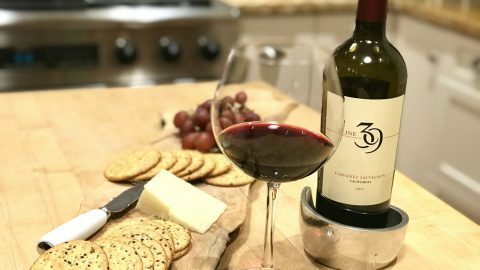 We’re Amazon Prime members, which makes ordering these gifts even easier. 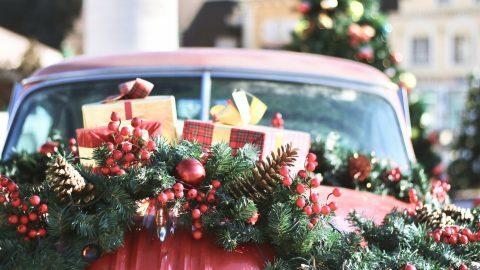 We could even be huge holiday shopping procrastinators (who, us?) and still order the Amazon Echo Dot Kids Edition and Amazon Fire HD 8 Kids Edition right up until just days before Christmas. Amazon will even wrap them for us!